Load Rite’s secure, durable canoe, kayak, and paddleboard trailers can carry from two to six or more units, yet are lightweight enough to allow towing by almost any vehicle. Each mounting location features resilient rubber surface to protect your craft and integrated tie-down points to secure your cargo. 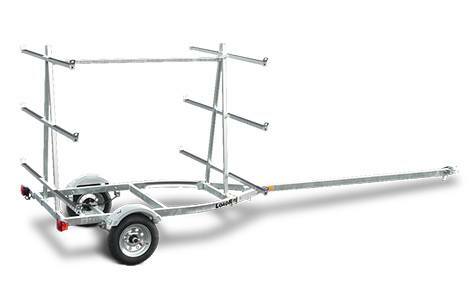 Galvanized steel frame, torsion axle and wheels ensure a long service life.